‘Etienne-François, duc de Choiseul at his desk’. This beautiful painting of the duc de Choiseul was acquired by the Rothschild Trust for Waddesdon Manor in 2008. The fashionable portrait painter Adélaïde Labille-Guiard depicts the duc in a white silk dressing gown at his desk in the bedroom of his Parisian town house, rue de Richelieu. Choiseul himself died in May 1785 and did not live to see the picture completed. 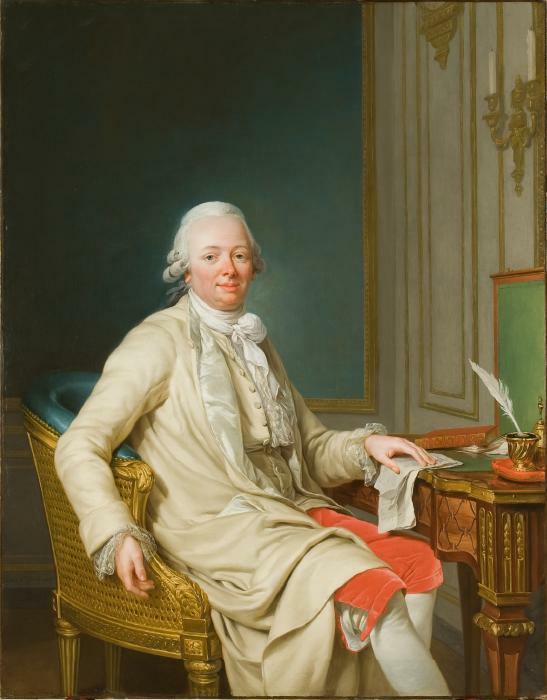 Although he was dogged by debt and frustrated in his desire for recognition by Louis XVI, in this portrait Choiseul exudes a self-conscious air of modest contentment. The informality of the pose and the understated luxury of the surroundings exemplifies the refined patrician Enlightenment of the dying years of the Ancien Regime.